Troy city employee Tim Burgess hangs a U.S. flag on a pole near the Times-Tribune, in preparation for the Memorial Day weekend. 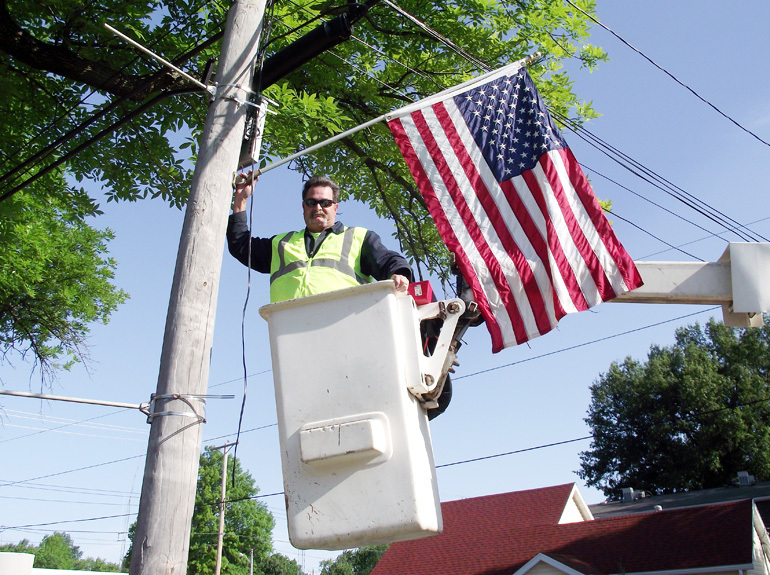 Memorial Day services will be held at 1 p.m. at Tri-Township Park in Troy on May 25, at the veterans memorial. The event will feature music by the Troy Community Band.